While many other automakers have been scrambling towards investing in battery technologies for their upcoming electric cars, Tesla has been content sticking with its Panasonic developed cells over the years. However it seems that Tesla made a rare acquisition that could put it on the road towards producing solid-state EV batteries. This week has been an interesting one in regards to EV battery technology from Tesla. A few days ago Tesla’s battery research group led by Jeff Dahn applied for a patent for a new battery cell chemistry that promised faster charging and discharging along with better longevity and lower cost to produce. Apparently not satisfied with only a new battery chemistry, Tesla acquired California-based energy-storage company Maxwell Technologies for $218 million. The agreed upon terms was to acquire them for $4.75 a share and is expected to be finalized by Q2 2019. So what does Maxwell bring to the table? This in turn can help prolong the life of the electric car battery. Elon Musk had taken a great deal of interest in the technology and wanted to do his PhD in it before he moved on to his other ventures. Secondly and more importantly is that Maxwell has recently developed a dry battery electrode with an impressive energy storage potential. Currently Maxwell has demonstrated a >300 Wh/kg energy density with a supposed path to over 500 Wh/kg. This is a substantial increase over the current industry electric car battery average of around 250 Wh/kg. On top of all that, Maxwell sees a cost reduction of 10-20% over current EV battery production. As I mentioned previously, Tesla does not make many acquisitions, so they must have seen something really good within Maxwell. 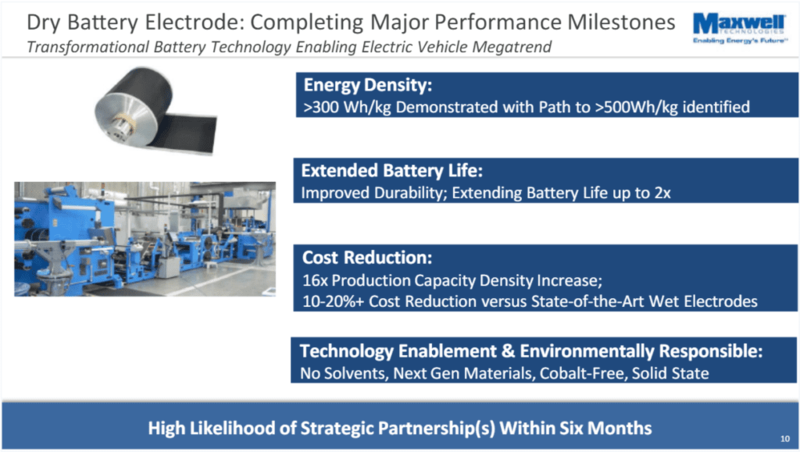 Many battery companies promise that they are on the road towards solid-state batteries, but who knows which ones will actually deliver, let alone one’s that could be used as EV batteries. What we do know is that while Tesla is delivering the highest ranges in their electric cars right now, they will soon face pressure from automakers like Daimler and Volkswagen who are dumping obscene amounts of money into EV battery technology. It would be a shame for Tesla to have this head start, only to get overtaken by other automakers as soon as they decide to take electric cars and batteries seriously. With the Model Y on the horizon (and the standard range Model 3 floating around somewhere) it will be more important than ever for Tesla to stay cost-efficient as possible if they wish to introduce affordable cars to the masses and remain profitable. Since electric car battery costs are the main deciding factor on profitability, any savings in production is welcome. 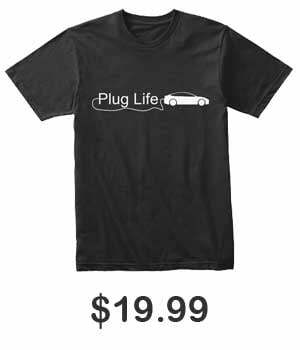 So with this acquisition Tesla could not only help the cost of its EV batteries, but also possibly make use of the illustrious solid-state batteries that many automakers are pining over. What do you guys think of the deal? Let us know down in the comments below.